Due to scheduling complications with the artist, this program has been moved to Saturday, November 3, 2018. Your ticket(s) to the August show are valid for November 3 and will be automatically transferred to that date. If you prefer a refund, contact Sasha to make arrangements. Any patrons who purchased tickets to the August show may use their ticket confirmation numbers as vouchers for TWO additional tickets to a UCB show of their choosing at any of the four UCB venues in NYC or LA. These vouchers will be valid until August 19, 2019, and can be redeemed (pending ticket availability) by emailing [email protected] with the voucher number and requested show name, date, and time. 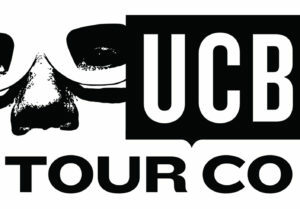 Upright Citizens Brigade Touring Company brings the very best of its theatres in NYC and LA directly to you. It’s your chance to see stars of today and tomorrow live on stage from the theatre that brought you comedy greats like Horatio Sanz, Amy Poehler, Rob Corddry, Ed Helms, MTV’s “Human Giant,” “The Daily Show’s” Rob Riggle and many more.